This design exceeds all expectation as it is a piece of function art. There is a serious amount of self expression in this design allowing the viewer to appreciate the innermost feelings and tastes of the designer and the client. The main show stopper here is the island, or should that be islands! The two islands are set at a lower level and are connected by a dramatic bridge which has been elevated to an ergonomic height. 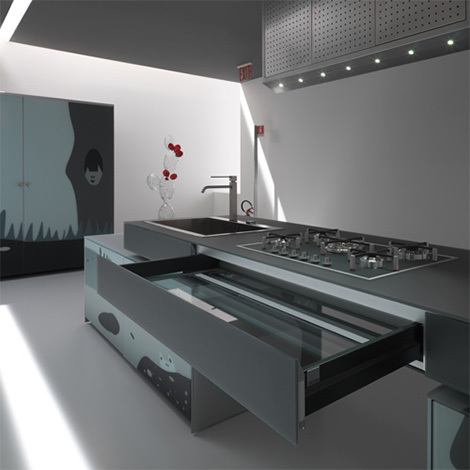 This bridge has been designed to create the illusion of being a solid slab of worktop but it actually conceals some very functional glass bottomed drawers; a bit of a speciality from manufacturers Valcucine! 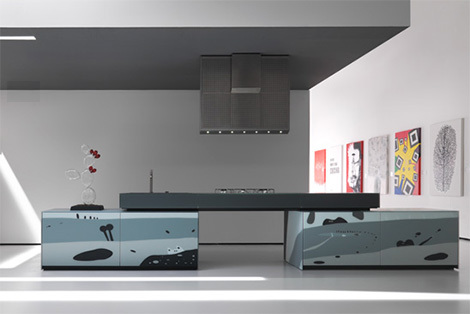 The Mogul loves the fact that the designers have created a recessed cavity between the lower islands and the upper bridging worktop, doing this makes it appear that the bridge is floating, giving this design some contemporary class! 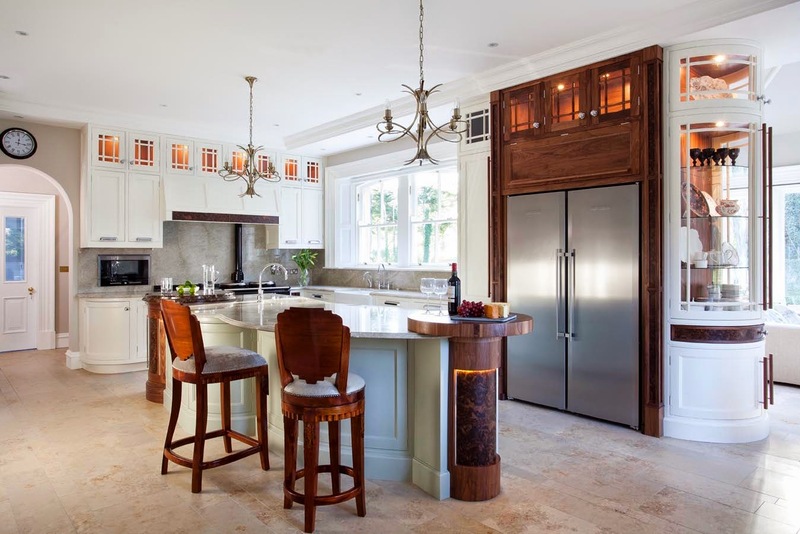 This kitchen has style and is a great example of how personality can be expressed in every kitchen design.